Four councillors resigned from the council’s Conservative-led alliance this month, leaving it in the minority. An agreement has been reached which paves the way for an SNP-led Aberdeenshire Council administration. This led to talks between the SNP and Democratic Independent and Green Group (DIGG) of Martin Ford and Paul Johnston. DIGG have now agreed to support the SNP on a confidence and supply basis. Inverurie councillor Hamish Vernal is set to become Aberdeenshire Council leader under the new arrangement. 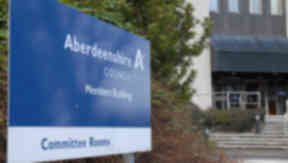 The SNP group will now write to Aberdeenshire Council's chief executive to confirm its intentions.